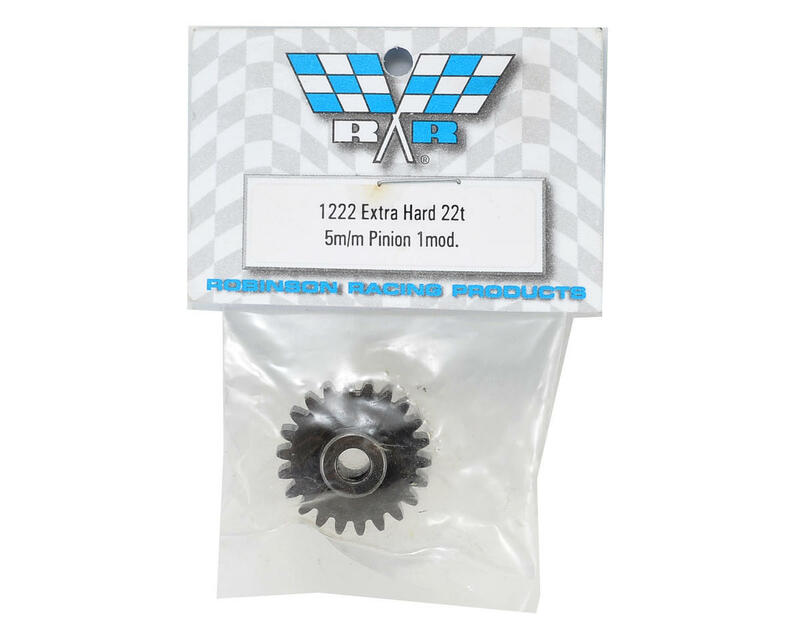 Robinson Racing Extra Hard Steel 5mm Bore Mod1 Pinion gears were developed for 1/8 scale applications and fit most 1/8 scale nitro spur gears perfectly. They are available in a variety of tooth count options to fine tune the torque and top speed of your model. 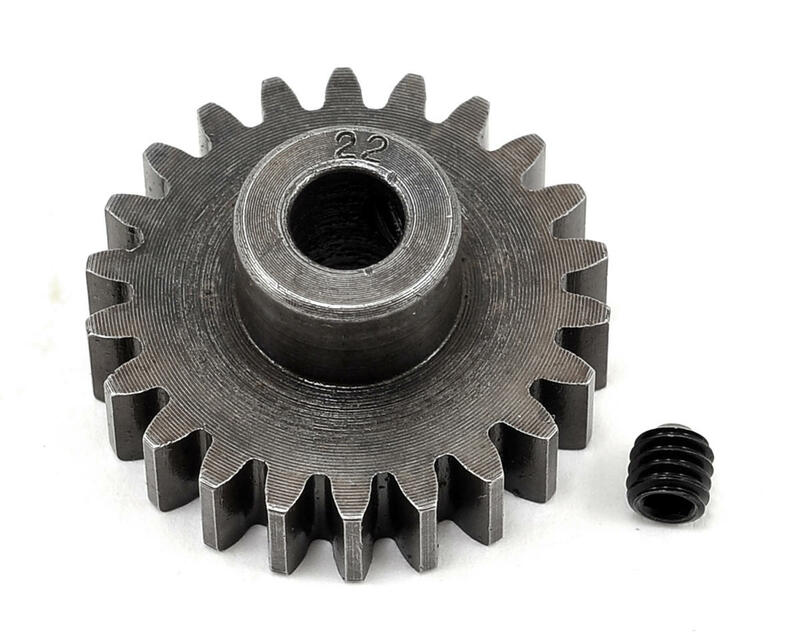 Package includes one pinion gear and one 4x4mm set screw. Meh. It is built well, but the grub screw is smaller than other brands. I like being able to use these over and over, so on my list the Tekno pinions are above the Robinson pinions in overall quality. Still does the job though.